So tonight I started to work on a bookcase. 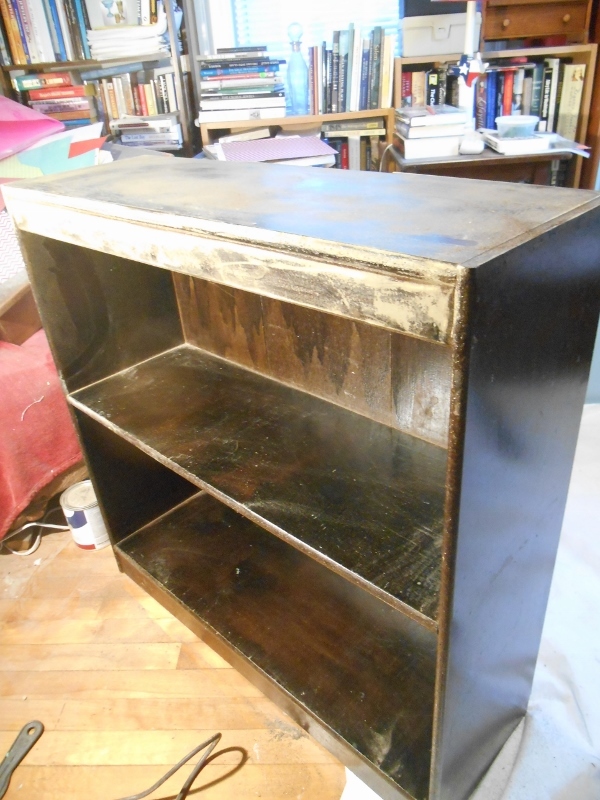 It was a major sanding job…blech!!! I don’t know what sort of varnish was on this piece, but when I went to wipe off all the dust and grime after the first sanding, the water beaded up and bounced!! Crazy!! Is it an alien varnish? Does the alien varnish turn the water into aliens!! Yikes! !